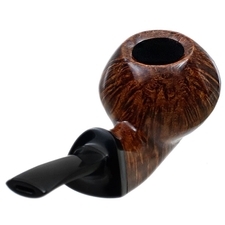 This style of dynamic, sweeping Tomato shape is one we've seen a few times now from Brad, yet with every rendition Pohlmann seems to be pushing that dynamism further and further. 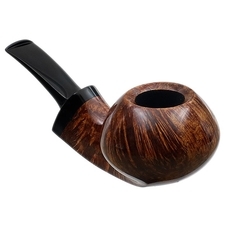 Here, for example, the low-set waistline of the bowl appears even broader, with plumper cheeking to either flank and a stouter style of transition and shank to match. 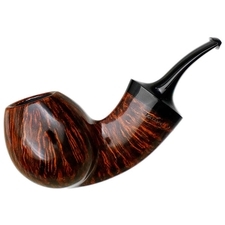 While the upward flicking curl of the shank does seem more pronounced, that aforementioned stoutness actually works to give the form a more compact, condensed, and tight-knit aesthetic, which in turn lends the silhouette a striking amount of bundled up, potential energy in profile. 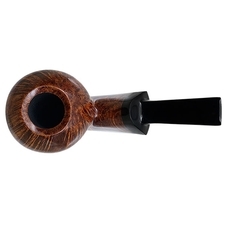 The finish also plays its part in really bringing out the form's dynamism as well, with the smooth, contrast stained treatment accentuating the shape's defining lines and helping to guide the eye more seamlessly from end to end. 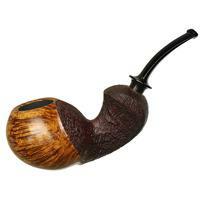 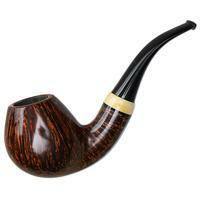 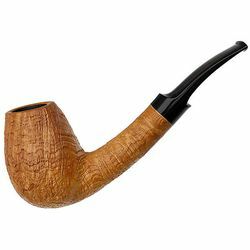 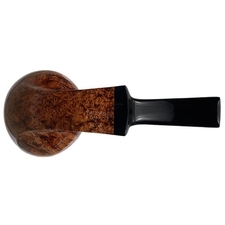 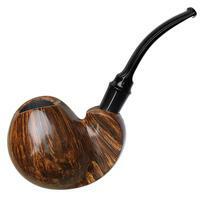 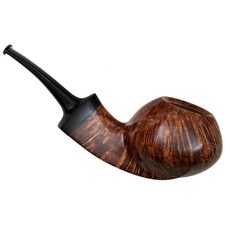 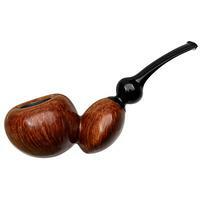 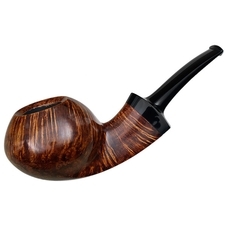 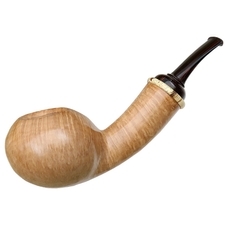 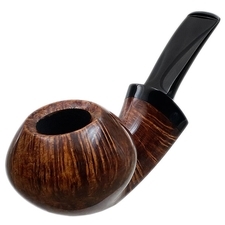 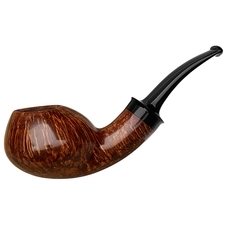 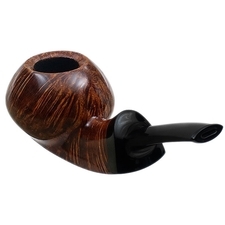 It, of course, also does one hell of a job showcasing the block's natural straight and flame grain pattern — which as you can see is just as striking as the pipe's shape itself.